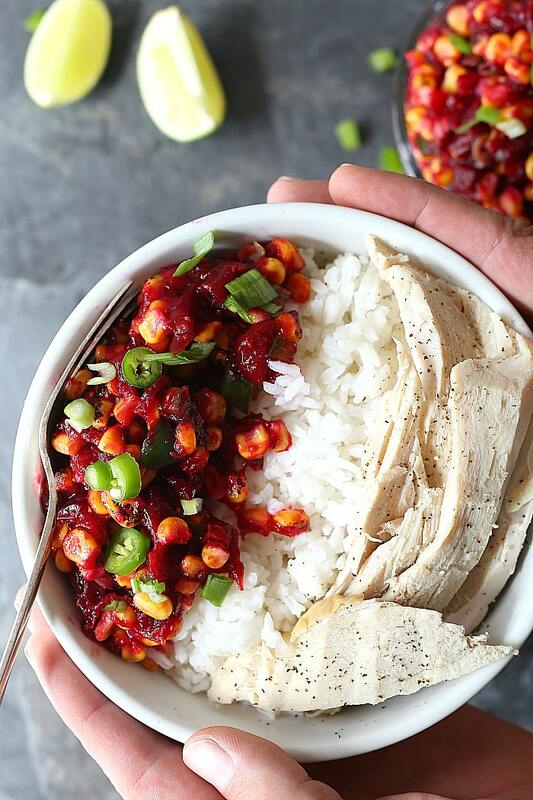 Tangy spicy cranberry salsa topped on rice and leftover turkey is bursting with roasted cranberry flavor! The salsa is a delightful addition to salads, tacos and added to holiday turkey dishes. This post is sponsored by my friends at Cape Cod Select and all words and opinions are written by me. Pans have been banging all over the house in celebration of school starting! If you have children, you know what I mean?. The constant entertaining and sibling battles got real around here. As soon as that first day of school hit, everyone in our house had a little more pep-in-our-step! Once school starts it’s like the rest of the year fly’s by in sequence with all the upcoming holidays. BTW I did cook large turkey in July?. Last Christmas my mom was planning on flying to California for the holiday. I had bought a giant 24-pound turkey but due to our local fires we evacuated to fresh air and the meat never got cooked. It has been taking up my freezer space and needed to finally be enjoyed! 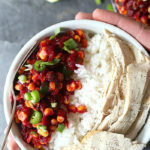 This cranberry salsa is the perfect addition to Thanksgiving and Christmas feasts (even in July) and is even just as delicious as leftover turkey (or roasted chicken) rice bowls! 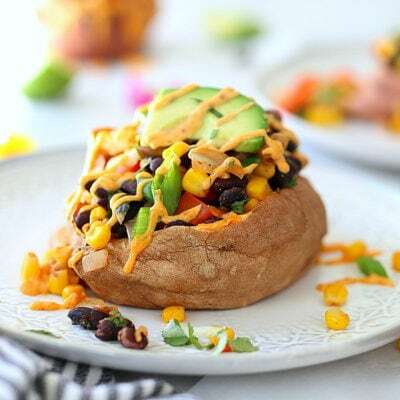 It encompasses a combination of Mexican red salsa flavors, sweet corn and rich tart tangs from the berries. 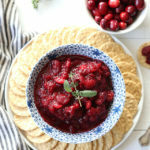 Cranberry salsa is such a tasty twist to traditional meals and pairs with lots of dishes. 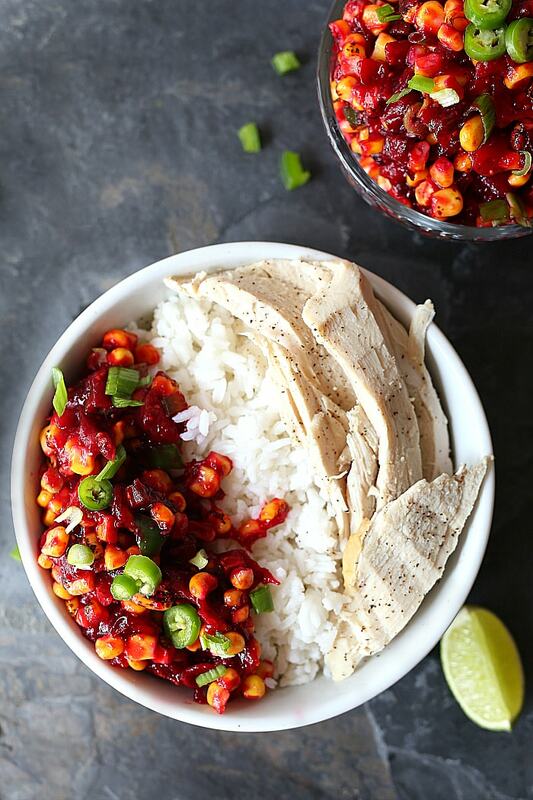 This spicy cranberry corn salsa is one for the books! I highly suggest printing this out and adding it to your recipe book for Thanksgiving and Christmas. Here is how we make it. Gather juicy plump cranberries! I keep large bags of frozen cranberries from Cape Cod Select in my freezer. 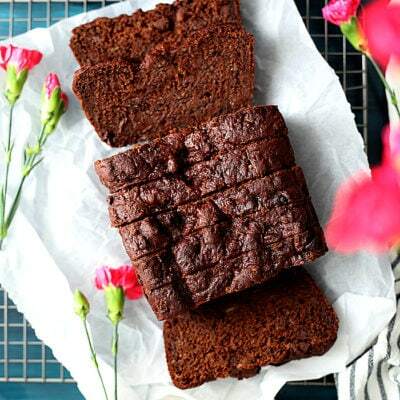 Having them in the freezer at all times make this recipe accessible any time of the year, not just for the holidays. 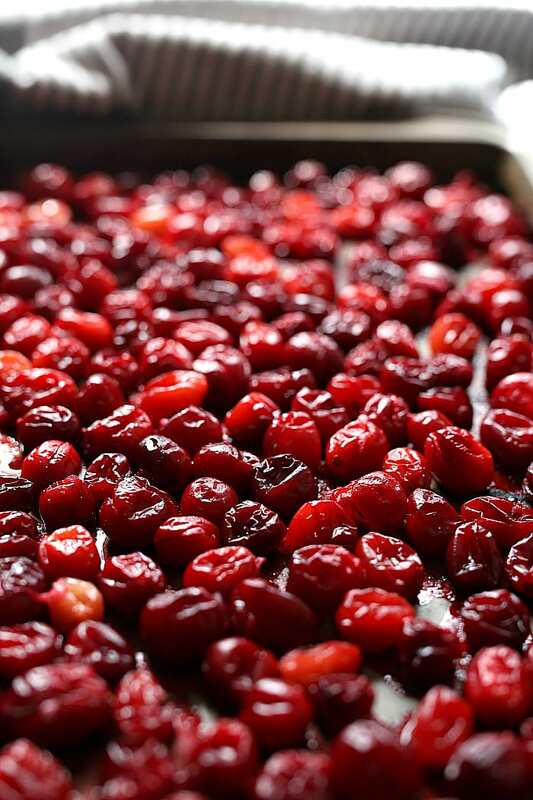 Roast the cranberries: Pour 5 cups of frozen cranberries on a baking sheet evenly so they do not overlap. Roast at 400 degrees for 20 minutes. The cranberries will look plump and “airy” but once they remove from the oven and cool they decrease in size and become less tart. Let the cranberries cool from the oven. 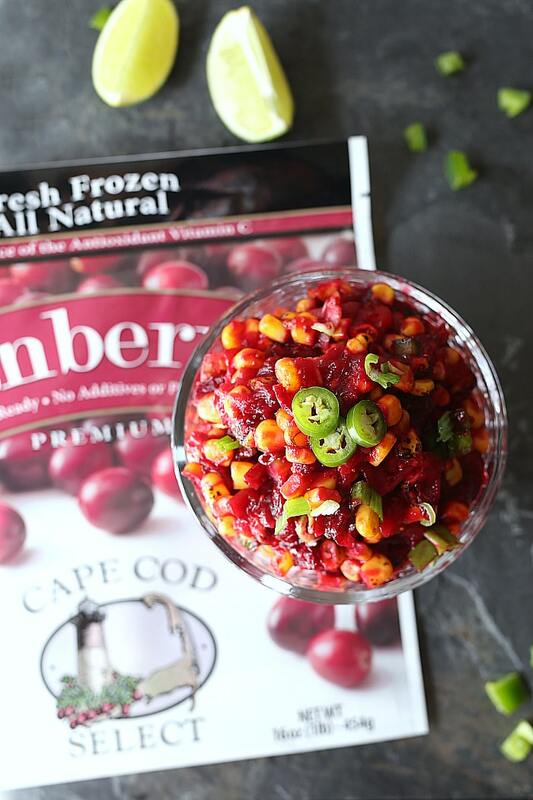 Mix together the roasted cranberries, sweet corn kernels, chopped green onion, jalapeno, garlic, maple syrup, cumin, lime juice and salt. 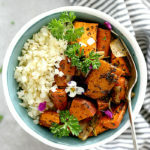 Serve the salsa with rice and roasted turkey or roasted chicken. 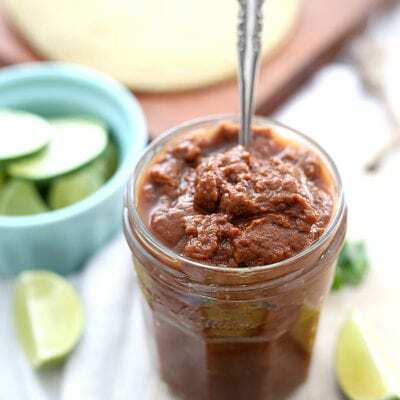 This is a simple salsa delicious for the holidays! 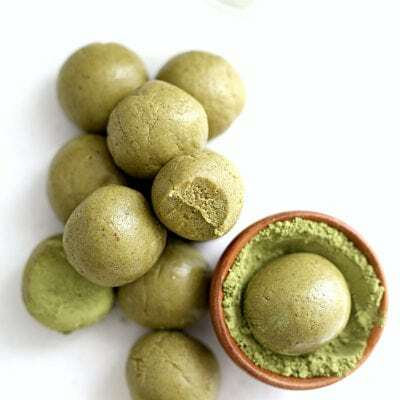 It is sweet, tangy, spicy, crunchy all in one bite! Thank you Cape Cod Select for sponsoring this post. You can find their frozen cranberries in a store near you using their locator. They can also be followed on Facebook, Twitter, Instagram and Pinterest. Remove corn from the freezer to thaw or heat in the microwave or stove top to thaw. Set aside. Spread the frozen cranberries on a baking sheet evenly so they do not overlap and roast for 20 minutes.The cranberries will look plump and “airy” but once they remove from the oven and cool they decrease in size. When the cranberries are done, remove from the oven and let them cool. Meanwhile prepare the other ingredients by removing the seeds of the jalapeno and dicing it. Dice the green onions (and Serrano pepper if using it for garnish and extra spicy). 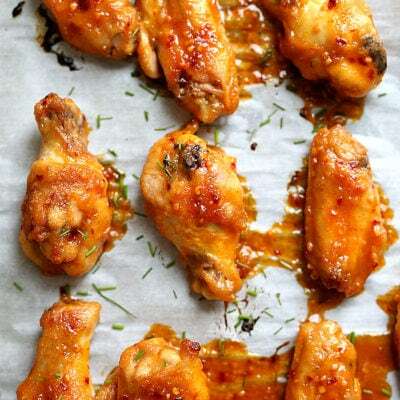 Serve with rice and roasted turkey (or chicken). If you like a lot of cranberry flavor, use 6 cups of cranberries. 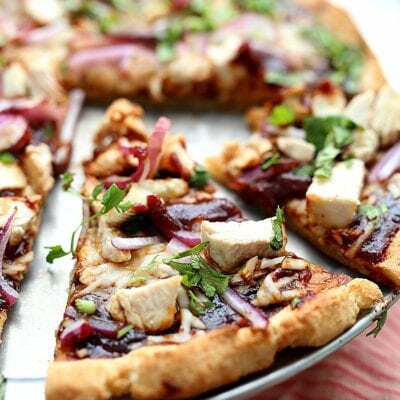 If prefer more crunch and less tang use 5 cups of cranberries. Makes about 5 cups of cranberry salsa if using 5 cups of cranberries and about 6 cups using 6 cups of cranberries. 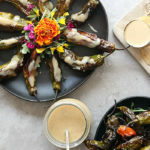 Always check the heat of the jalapeno first?. If it is not very spicy, feel free to add a second one to the recipe. 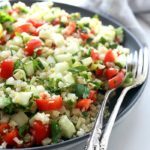 Nutrition based on salsa alone, not the rice or turkey.